The Samsung Galaxy S9 and Galaxy Note 9 are not the only 2018 phones that should attract the attention of bargain hunters before the first wave of 2019 flagships is released, as the LG G7 ThinQ can also be purchased at a pretty great price from B&H Photo Video right now. We're obviously talking about unlocked units designed specifically for the US market here, which used to cost $749.99 a pop back in the day. Discounted multiple times of late by this very same retailer, as well as the likes of Amazon and Walmart, the relatively well-reviewed 6.1-incher is currently available for $429.99 in black and $449.99 in platinum. Both models include a "frosted" Avoda case protector at no extra charge, representing an additional $20 or so in savings. While $429.99 is technically not the phone's lowest price ever, it is significantly lower than what Best Buy, Amazon, and Walmart are charging at the time of this writing. Specifically, a brand-new LG G7 ThinQ with a valid US warranty starts at $480 on Amazon right now, fetching $500 with an obligatory upfront Sprint activation at Best Buy, and the full $750 at Walmart. In case you're wondering, yes, you can use the handset on any carrier you want, from AT&T or T-Mobile to Verizon and Sprint, and yes, you're still eligible for a free warranty extension from 12 to 24 months with registration on LG's dedicated website. 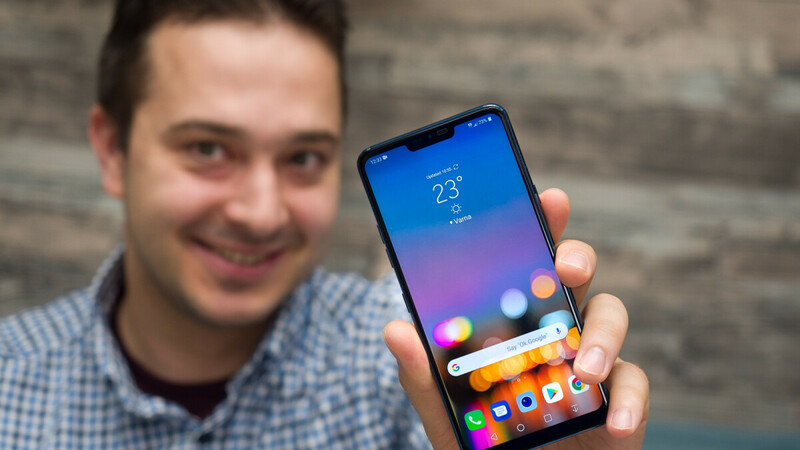 At 430 bucks, the LG G7 ThinQ is undercutting the popular OnePlus 6T by a cool $130, offering a powerful Snapdragon 845 processor, sharp LCD screen, more than respectable dual rear-facing cameras, excellent sound (with a headphone jack also in tow), and premium build quality. The fast-approaching G8 ThinQ is obviously set to improve on all that, but at a much higher price. Great price for such an underrated smartphone. This is a great bang for your buck offer. Hey Victor, this is the most underrated phone of 2018 and not the Huawei Mate 20. I don't know, I find that most of LG's phones in recent years have been forgettable with the exception of the issues that have occurred. Totally agree. LG's latest are extremely underrated. I think the most underrated phone of 2018 is the XZ3. I wasn't sold on it at first because lol Sony, but I saw it in person and it is a fantastic phone with killer features. The LG phone just feels like the bargain bin phone that is soon forgotten. LG's latest are definitely underrated, especially when compared to the likes of Sony's current crop of smartphones. Sony's smartphones are too overpriced, and have such a dated design language. Dated design language? This is coming from the guy who used to champion the PKB of the BlackBerry until I forced you to admit that the KeyONE had a design flaw. The V40 is about that price on eBay too. Battery life and the memory should have been 6GB. Yeah, the battery life could definitely be better, but the rest of the smartphone, from storage to performance, is great. The rest of the smartphone is just average, which is the general consensus of many of LG's phones. And I mean phones, not the appliance division that you embarrassingly tried to bring up.